While the rest of Northern Europe brace themselves for the cold of winter, people in and around Paris and hotting things up. Rosie Khdir discovers Le Festival Paris Banlieues Tango. Paris and its surrounding towns are going crazy for Tango in the Suburbs, a festival that has injected some latin spice into the Ile-de-France. The tango originated in Argentina and Uruguay in the 19th century on the famous streets of Buenos Aires and Montevideo. During the early 1900s many musicians and dancers from these countries moved to Europe, taking their new craze with them and causing quite a stir. It took Europe by storm and surely enough Paris became engulfed in “tangomania” which swept the city’s salons. After the Second World War and the popularisation of new music types, such as Rock ‘n’ Roll, the tango struggled to hold on to its former glory. But, thanks to Argentinean composer Astor Piazzolla, the dance was given new life during the 1960s and emerged strong once again. Every year Paris reverts back to its previous “tangomania” through Le Festival Paris Banlieues Tango. This festival explores the music as well as offering concerts, dance lessons, singing lessons, theatre, films, exhibitions, lectures, cabarets and cuisine. This festival is about discovering the historical and cultural links between France, Europe and Latin America and shows that this century old musical craze is still very much alive in the modern era. Events take place across the city and including at Le Satellit Café where visitors can move to the sounds of Moroccan Berber songs or the tunes of Indian Sitar players. Over 70 concerts and dances will be held in around 15 venues with performances including “Tango au Féminin” a tribute to female “tangueras”, “Tango Gastronomie”, gastronomic cabaret evenings with food from Argentina and Uruguay and “Tango Balades” a guided walk through a Paris supposedly haunted by the tango. There are shows and concerts to please everyone and plenty of dance classes for both amateur and experienced dancers. The festival runs until the 30th November so for more information visit the official website. Bankrupt trading institutions, destitute investors and a collapsing economic bubble, it all sounds a bit familiar doesn’t it? Tomas Mowlam investigates a 17th Century boom and bust. One of the most famous examples of bust following economic boom is the tulipmania which swept the Netherlands in the early 17th Century. 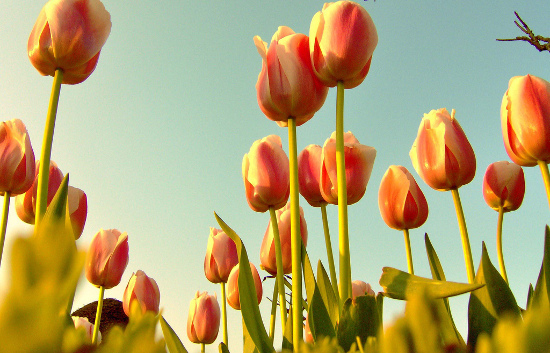 In 1593 the first tulip bulb was introduced into Holland from Turkey. The country was a European naval power, the profitable new lands of the Dutch East Indies brought vast wealth, and many merchants planted the flowers as status symbols. The mosaic virus which naturally affects tulips produced the most spectacular colour variations and mixes such as the red/pink and white Rosen or the purple/lilac Violetten, which became incredibly popular. Tulips take seven years to grow to maturity from seed so pretty soon the Dutch traders were issuing futures contracts on bulbs to be delivered. The mania lasted from November 1636 to early May 1637 and reached its peak in February. There’s a great many tall tales about the peaks of madness: an auction to support orphans whose only assets were 70 fine tulips, apparently netted 53,000 guilders; men were imprisoned for accidentally eating the bulbs and whole farms apparently sold for a single bulb. The trade centred on plague-struck Haarlem, and after debtors defaulted the market collapsed in a matter of weeks. Dutch politicians trying to change the tulip contracts and the effects of the 30 years war in neighbouring Germany all contributed to it. Historians have been arguing like angry tulip traders about how bad the bubble actually was, with some saying it was localised and wasn’t as devastating to the economy, as the current recession. The lack of accurate economic data means that ever since Scottish journalist Charles Mackay first wrote about it in the 19th Century, tulipmania will remain a flowering argument. The really beautiful legacy of the mania is the Dutch tulip gardens for which the Netherlands is rightly famous. During the spring wander through the breathtaking Keukenhof Tulip Gardens in Lisse and get lost in a world of colour. The magical city of Bruges, in the Flemish region of Belgium, is a spectacular sight to behold at any time of the year but arrive during the month of December and you’ll think you’ve stepped into a child’s Yuletide fantasy. The city already boasts stunning medieval architecture, wrapped in ribbons of ancient canals, which long ago won it the title of ‘Venice of the North’. Visitors to the city are often shocked that a city this picturesque isn’t as well regarded as its glamorous Italian relative. 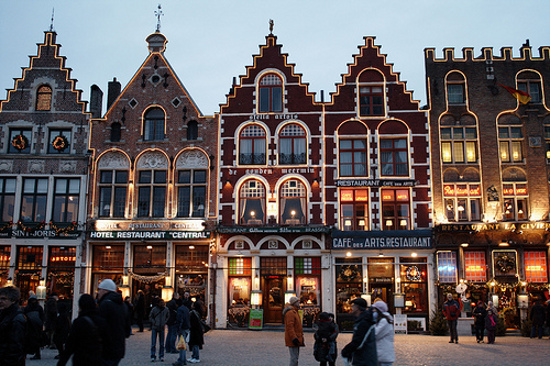 Bruges is an important city, once the seat of the Count of Flanders and is now a spiritual hub of Flemish culture. Local traditions, responsible for spectacular food and music festivals throughout the year, really come into their own during December. The Flemish community hold traditional concerts and spectacles throughout the city, during this month, the centre of town is illuminated with thousands of lights and candles and an enormous Christmas market pulsates all around them. The result is a feast of shimmering joy in the depths of the winter’s darkness. Anyone looking to escape from the commercial glittery razzmatazz of our own Christmas shopping experience and head to something altogether more traditionally atmospheric should pencil in a day or two at Bruges’ incredible Christmas Market. With busy ports, beautiful beaches and a sea life centre housing over 32,000 living creatures it is not hard to see how Boulogne sur Mer earned its title as City of the Sea. Rosie Khdir discovers the towns most popular spot. Boulogne sur Mer is a town packed with history, with its impressive watchtower, cathedral and crypt, all nested within The Old Town, but one of its biggest attractions is Nausicaa. Nausicaa National Sea Centre has been around for 17 years and draws in over 600,000 visitors annually. The centre aims to not only provide its guests with an up-close look at the worlds underwater wildlife but also promotes public awareness of the need to protect our oceans and their resources. The goal this year is to educate visitors about the ocean and its inhabitants, specifically whales and sharks. The centre gives people the chance to discover the sea depths through four key themes: Sharks- Essential to Ocean Life, The Extraordinary Wealth of the Deep, Amazing Whale Migrations and Fish, from the sea to your dinner plate. Each theme will be presented via exhibitions, live TV broadcasts and of course with the help of 1000 different species kept in 36 aquarium tanks. You can visit this centre and explore the wonders of the deep, learn how to help save our Blue Planet and even stroke a sting ray! There is also a great exhibition entitled “Madagascan Encounter”, in which visitors can discover the mangrove swamps, the Mozambique Channel and meet the nomadic Vezo fisherfolk. Nausicaa has just launched Europe-wide campaign called “Choose the right fish” which aims to balance to consumption of fish in Northern France to help prevent extinction. 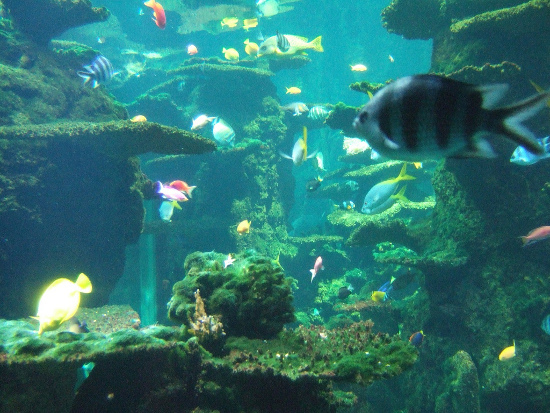 This campaign is running until the 31st December 2009, so to learn more about the mysterious deep blue sea and help protect its inhabitants Nausicaa is the place to go.